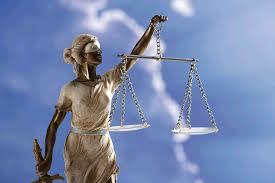 Concept of legal Aid in International Legal Instruments. It is vividly expressed in the universal Declaration of Human Rights, 1948 that all are equal before the law and are entitled without any discrimination to equal protection of the law. Besides this, various international documents have also been framed for protection of these rights which imply the concept of legal aid. Under the provision of the Universal Declaration of Human Rights, 1948 everyone has the rights to an effective remedy by the competent national tribunals for acts violating the fundamental rights granted him by constitution or by law and everyone is entitled in full equality to a fair and public hearing by an independent and impartial tribunal, in the declaration of his rights and obligation and any Criminal Charge against him. According to the provisions of the International Covenant on Civil and Political Rights, 1966, all persons shall be equal before the courts and tribunals and in the determining of any criminal charge against him, everyone shall be entitled to be tried in his presence, and to defend himself in person or through legal assistance of his own-choosing; to be informed, if he does not have legal assistance of this right; and to have legal assistance assigned to him, in any case where the interests of justice so require, and without payment by him in any such case if does not have sufficient means to pay for it. Is also provided in the African Charter on Human and People Rights, 1981 that every individual shall be equal before the law and entitled to equal protection of the law. Everyone is equal before the judiciary, and the right to judicial resources is guaranteed for every person in the territory of state as to the provisions of the Arab Charter on Human Rights, 1994. All persons shall be equal before the judicial system. In the determination of any charge against him, everyone shall be entitled to a fair and public hearing within a reasonable time by an independent and impartial court .The decision of the court or the sentence shall be pounced publicly, but all or part of the trial may take place in camera for reason of public order or state secrecy or where the interest of juveniles or the protection of the private life of the parties so requires according to the provision of the Commonwealth of IndependentState Convention on Human Rights and Fundamental Freedoms, 1995. The Concept of legal aid has been found in some of the legal instrument in our country such as the Constitution of the Peoples Republics of Bangladesh, The Code of Civil Procedure, 1908 the Code of Criminal Procedure, 1898 the Legal Aid Act, 2000 and the Legal Aid Rules, 2001. In line with the international commitment to the principle of equality of justice as enriched in Airticle7 of the Universal Declaration of Human Rights, 1948 it has been pledged in the preamble of the Constitution of the Peoples Republic of Bangladesh that one of the fundamental aims of the state is to realize a society in which equality of justice would be secured all citizens. Protection of law that the citizen and the residents of Bangladesh have the inalienable right to be treated in accordance with law is guaranteed and speedy and fair trials are ensured. The provision of legal aid is found in the Code of Civil Proceddure, 1908 for those who file pauper suits. As regards civil matters, order 33 of CPC deals with “Pauper Suit”. The Conscious Law Dictionary says that a pauper, is a poor person especially one so indigent as to depend on charity for maintenance or one supported by some public provision; one so poor that he must be supported at public expense. The word “Pauper” and “poor” have nearly the same meaning and they both embrace several classes. But Explanation rule 1 of order 33 of CPC provides that a person is a “Pauper” who is not possessed of sufficient means to enable him to pay the fee prescribed by law for the plaint in such suit, or where no such fee is prescribed, when be is not entitled to property worth five thousand taka other than his necessary wearing-appearing and the subject –matter of the suit. The need for legal aid is felt more in criminal matters as the life; property and personal liberty of a person are inseparably connected there. As regards criminal matters, section 340 of Criminal Procedure, 1908 states that an accused should be defended by a lawyer and he must pay the fees and nothing more. Commenting on section 340(1) of the Code Civil Procedure, 1908 the Supreme Court of India observed that the right conferred by section 340(1) does not extend to right in an accused person to provided with a lawyer if he wants to engage one and it engage one himself or get his relation engage one for him. The only duty cost on the Magistrate is to afford him .The only duty cost on the Magistrate is to afford him the necessary opportunity. The economic condition of the common people forming 90% of the total population of our country baffles description. They are not only poverty –stricken but deprived of the minimum basic needs of life. Above fifty percent people are unable to maintain there livelihood. Modern life and civilization seem to have been a beckoning of the horizon to them. The demon of illiteracy and wants has still kept them subjugated and ignorant of the basis human rights and amenities. Their fate revolves round the glove of darkness without any better change. Therefore, our poor litigant people, most of whom pass more than half of the year through acute starving condition, cannot afford to reach the door of any law chamber. Moreover, in our country for the disposal of a civil suit several years required, but poor litigants after fighting one or two years, lose their every thing and rail to move the suit, so the court pronounce decree in favor of the strong party. Thus the poor people cannot drive any benefit of their services in many cases and as a result, they silently bear the agonies and burns of injustice done to them in various spheres of life without any legal relief. This is nothing but a legation to them of one of their fundamental rights of equality before law and the equal protection of law. It is, therefore, legal aid is essential for these people to protect their fundamental rights which are preserved in the constitution under Article 11. In Bangladesh the Ministry of Law Justice and Primarily Affairs passed a resolution in 1994 to provide legal aid to poor litigants, and a particular amount of money was allocated to the District Judge. However, another resolution was passed in March 1996 repealing the Resolution of 1994. The necessity of legislation to require legal aid was failed immensely. Several meeting of the Law Ministry paved the way to draft the legislation by 1998.Lastly, the Legal Aid Act, 2000 was passed by Parliament in January 2000 and was effective begging April 28, 2000. Universal Declaration of Human Rights, 1948, Art. 7. [http://www.airticlebase.com/law-airticles/access-to-justice-through-legal-aaid-1431939.1939.html,last visited 15th March 2012]. Universal Declaration of Human Rights, 1948, Arts. 8 & 10.
 International Covenant on Civil and Political Rights, 1966, Art.14. African Charter on Human and People Rights, 1981, Art. 14. Arab Charter on Human Rights, 1994, Art 9. Commonwealth of Independent States Convention on Human Rights and Fundamental Freedoms,1995, Arts. 6(1) & 21(1). The Constitution of the People’s Republic of Bangladesh, 1972. The Code of Civil Procedure, 1908. Abdul Halim &N. E. Sidikki. ibid., p. 348. The Code of Criminal Procedure, 1898. The Legal Aid Act, 2000 and Legal Aid Rules, 2001. Md. Abdul Halim, ibid., p. 270. Md. Ansar Ali, ibid., p. 424. [http://www.articlebaase.com/law-airticles/access-to-justice-through-legal-aid-1431939.1939.html,last visited 15th March 2012]. Md. Abdul Halim, ibid., p. 424.